zCover Inc, the leading manufacturer of fashionable silicone protective cases, has announced today the release of their zCover iSA micro2 armband set for the new iPod nano 2nd generation. 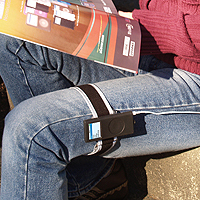 The zCover iSA micro2 Armband Set is designed for exercise enthusiasts, for whom it is usually more practicable and convenient to wear the iPod nano than carry it in the pocket. 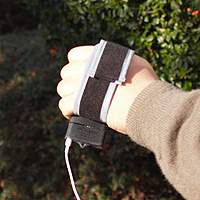 To serve this purpose, the product uses a Velcro strap of striking adjustability and reliability, which allows a perimeter range from 6'' to 18'' and holds the device securely in place around your wrist, arm, even leg. With the help of the ingenious one button release design, the device can be neatly fastened or removed with a single hand, so that your exercise won't have to be interrupted. Also remarkable is the user-friendliness of the product. 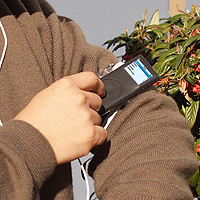 It gives you full access to the screen and all the functions of the iPod nano. Thus while working out you can change songs and scroll through your music library with perfect ease. In addition, the device when fastened can rotate 360 degrees, enabling you to control it from any angle that you find the most comfortable. The two reflective rims on the armband are designed to protect users who have a passion for exercise outdoors during the evening. The zCover iSA micro2 armband set is moisture-resistant and washable, so you don't have to worry that exposure to sweat and dirt will spoil even ruin the product. Moreover, it is compatible with all zCover cases, offering you a chance to show off your stylish zCover case by wearing it! zCover iSA micro2 armband set offers one model to fit the new iPod nano 2GB, 4GB and 8GB..
IIn this first release of iSA micro2 armband set, zCover offers you a choice of 10 bright colors: Blue, Pink, Green, Purple, Red, Yellow, Ice Clear, Grey, Black and White-Glow-in-Dark. 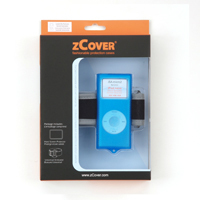 Each zCover iSA micro2 armband set (retail packaging or online-order packaging) for the new iPod nano 2nd Gen contains: one set of zCover universal armband set, one iSA Micro2 original series silicone case, and one hard crystal clear screen protector with soft rubber ring pad.